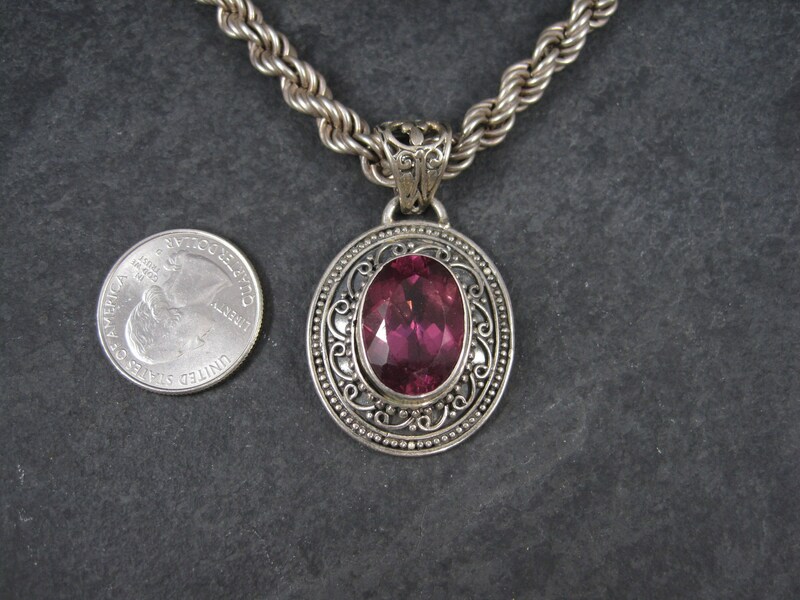 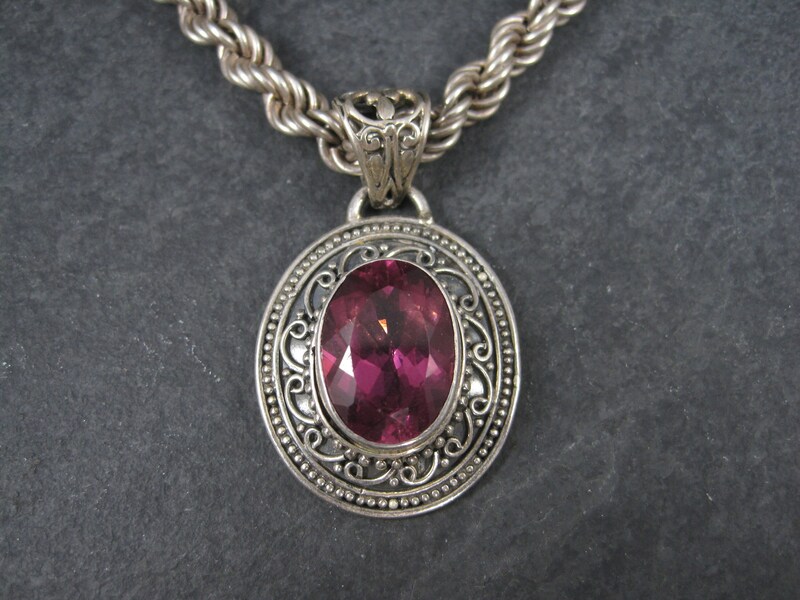 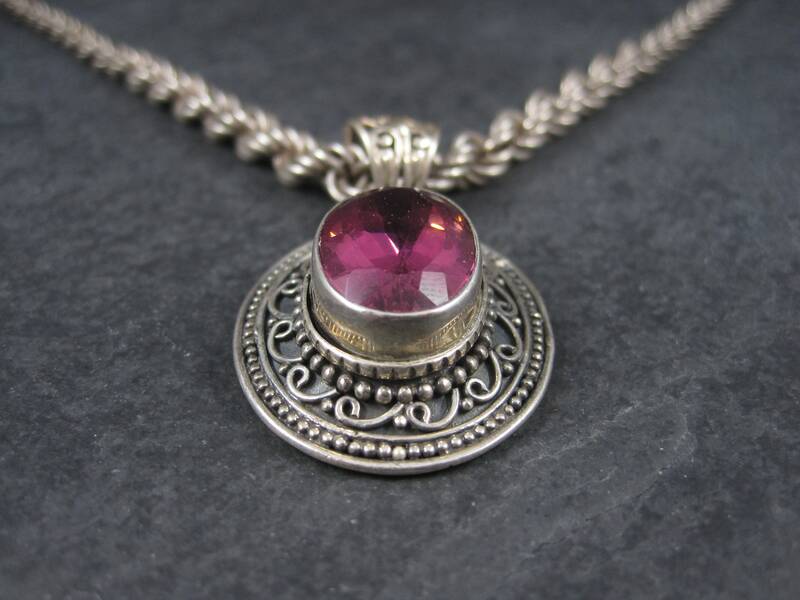 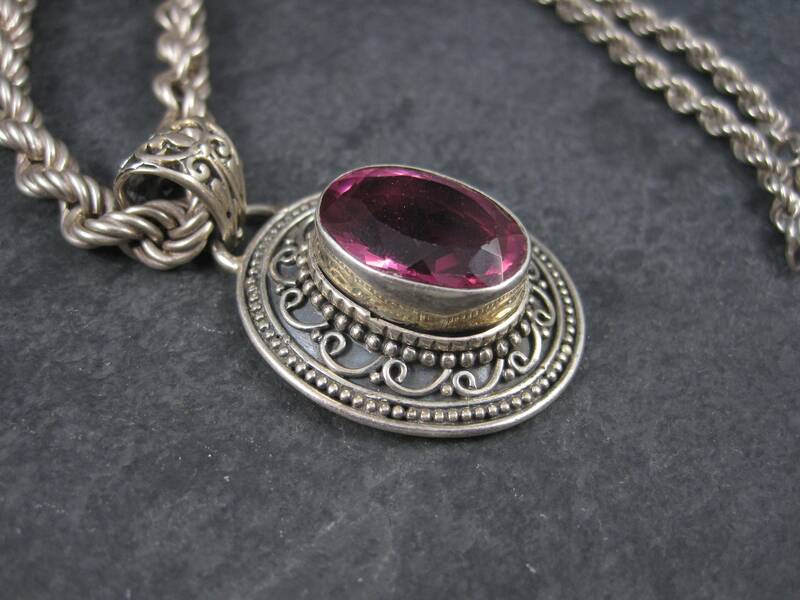 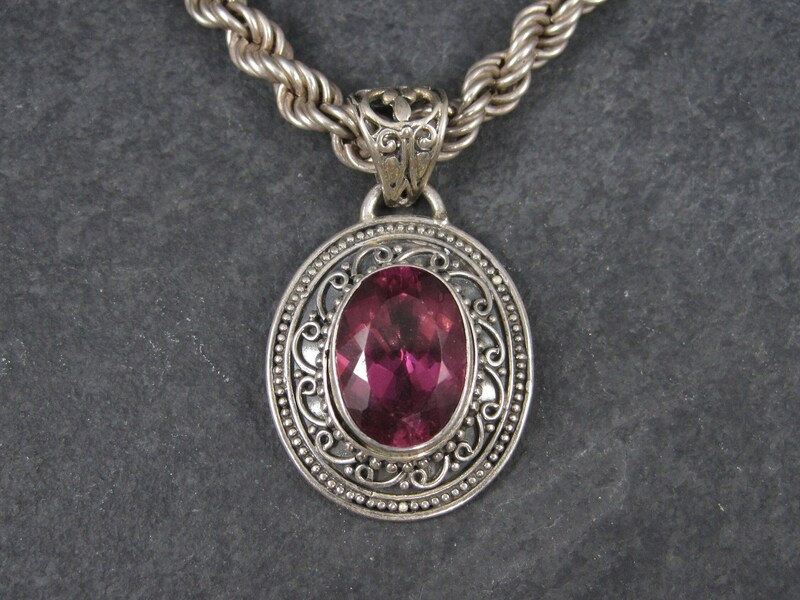 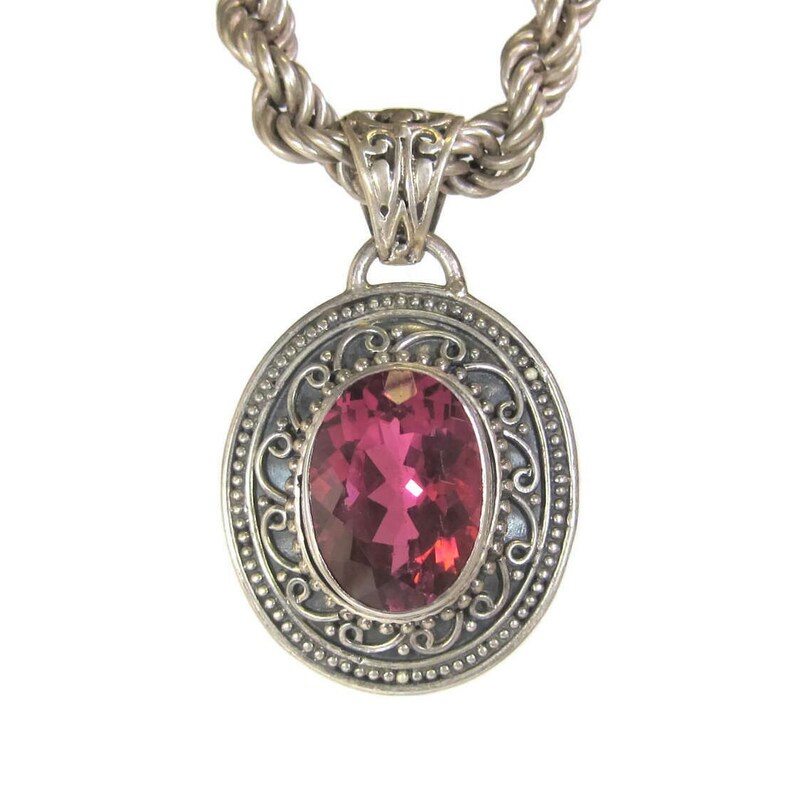 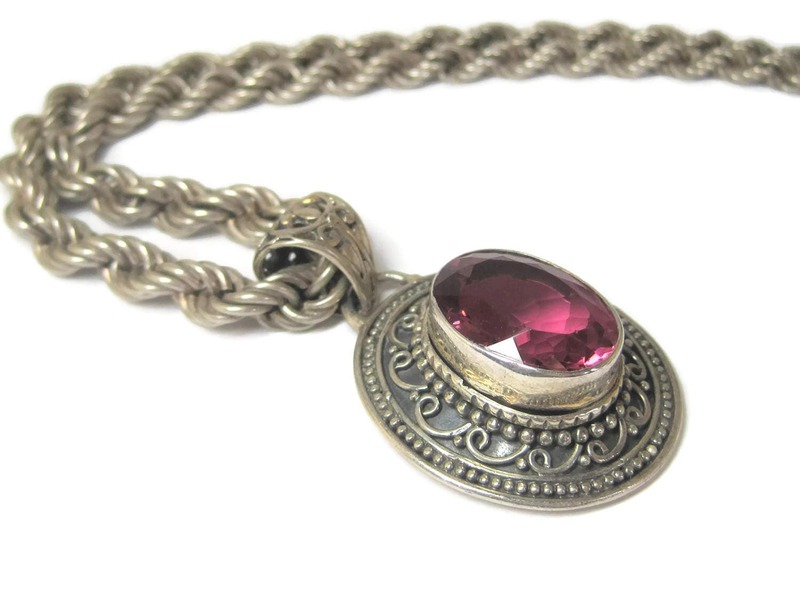 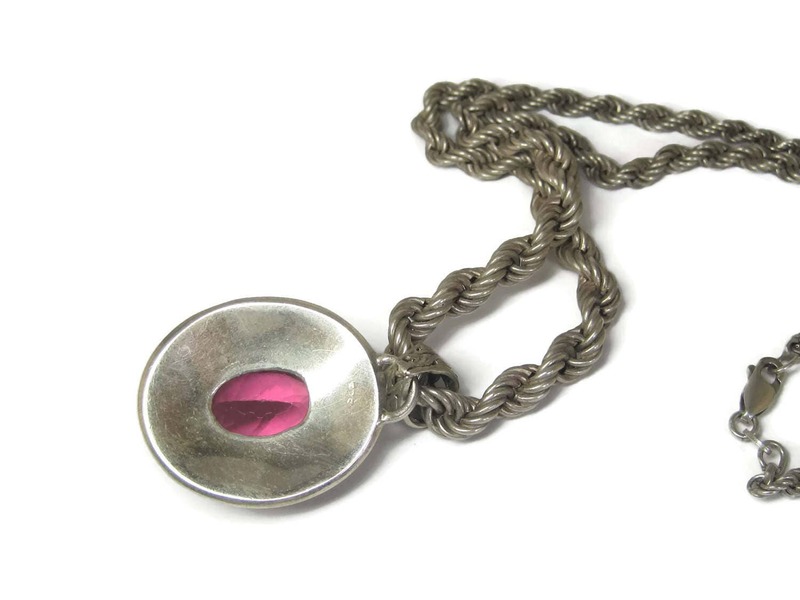 It features an 18x14mm bright pink quartz gemstone. 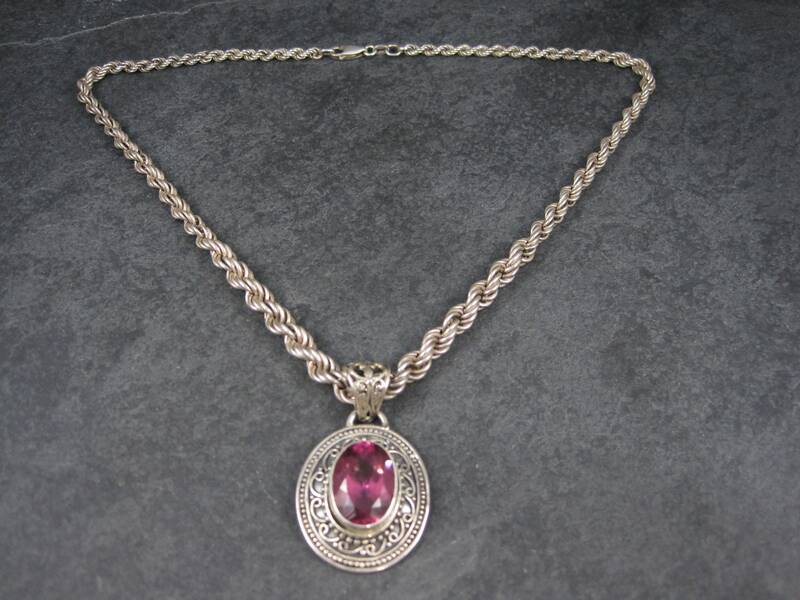 Comes with an 18 inch, sterling silver, 4 to 6 mm graduated rope chain. 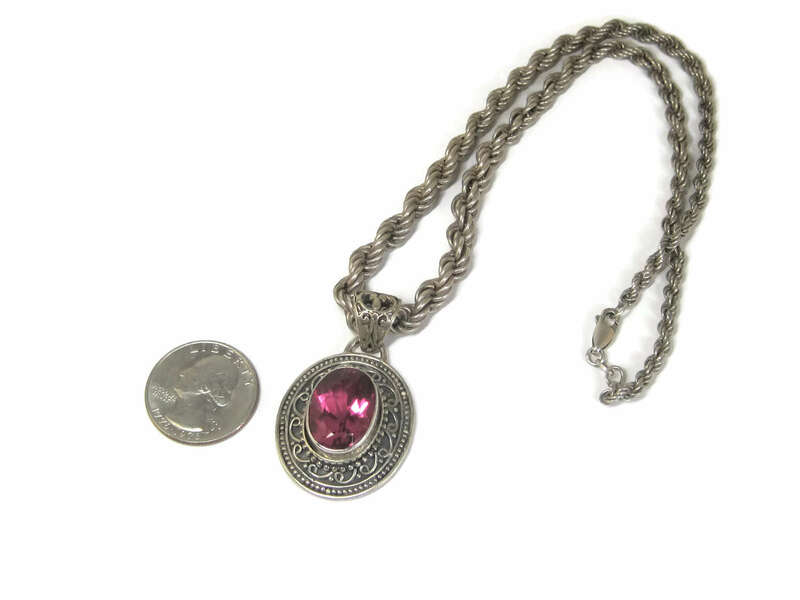 Condition: Both pendant and chain are in excellent condition.